We strive to be Gainesville’s #1 Sprinkler System Installation & Repair Company! Aqua Turf Irrigation, LLC is a full service Gainesville irrigation company who specializes in sprinkler repair, irrigation systems design and installation. 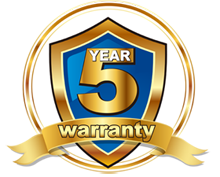 We pride ourselves in offering the finest service, products and installation in the business. We also have wholesale connections to get your irrigation supplies at the best rates in town. Backed by over 15 years of experience installing sprinkler and pumping systems, you can feel confident in choosing Aqua Turf Irrigation for your sprinkler system install or repair! Aqua Turf Irrigation uses the highest quality products in the irrigation industry including RainBird, Hunter, Toro and Irritrol products on your lawn/grass. We create irrigation designs and provide consulting solutions that match the exact needs of the sprinkler project. We always make sure to implement appropriate water-saving design principles into every project. 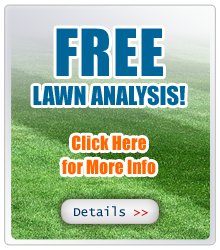 Water your lawn properly, and not only will your lawn flourish but so will your bank account! 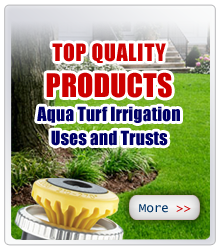 Aqua Turf Irrigation is locally owned and operated. We specialize in the installation and repair of residential irrigation systems throughout Gainesville, Newberry, High Springs, Alachua and surrounding areas in Alachua County, FL. One of the best ways to water your lawn and grassy areas. Also a recommended solution for sprinklers that are in need of repair.